Looking back now, I am so glad I stepped outside my comfort zone and took that leap of faith. 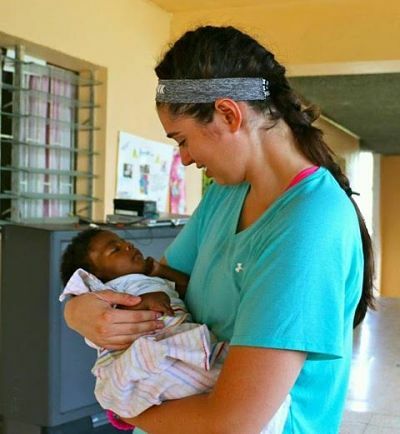 "I can't even begin to describe what I experienced on my mission trip to Jamaica in June. If you would have spoken to me before I left, I would have expressed how nervous and anxious I was about going. One of my favorite places we visited while we were there was Mary’s Child, where pregnant teens and their babies live for a period of time. We had the opportunity to meet and socialize with all the mothers, and hold their babies. It brought me so much joy to hold the babies in my arms and see how pure God’s love is for each one of us. Looking back now, I am so glad I stepped outside of my comfort zone and took that leap of faith. I got to play and interact with so many amazing kids, do some work projects to better the lives of Jamaicans, but most of all I got to see and experience the love of Jesus Christ through these children."